Heat pumps are amazing home comfort systems because they provide for you needs all year round. As such, it is important to keep them operating efficiently and effectively at all times. 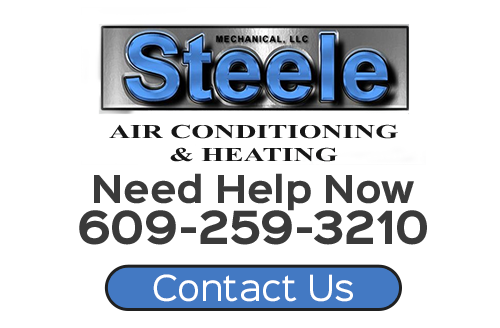 At Steele Mechanical, LLC Air Conditioning and Heating, our New Jersey heat pump repairs team is here to help you keep your system in the best condition possible. With over 25 years of experience in the HVAC industry, our heat pump technicians have the knowledge and skill necessary to provide for all your needs. All of our heating contractors are professionally trained. We take an immense amount of pride from our work, a fact that is evident from the high quality services that we provide. If you own a heat pump that is in need of repairs, call Steele Mechanical, LLC Air Conditioning and Heating today. Our heating repairs professionals are ready to help ensure that your heat pump operates in the most efficient and effective manner. We can schedule your service call today. 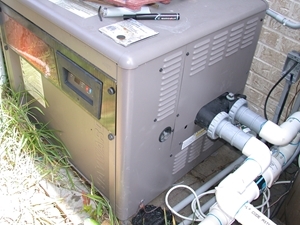 Heat pumps are a great way to provide your property with year round comfort. In contrast to typical forced air systems, heat pumps do not actually use energy to heat or cool air. Rather, they rely on energy differentials between the interior and exterior of your home, moving heat in during the winter and out during the summer. For this reason, heat pumps are fantastically rewarding in that they operate more efficiently than furnaces and air conditioners. In order to keep your heat pump providing this efficient level of comfort, it is necessary to hire a professional to conduct routine repairs. Our New Jersey HVAC contractors specialize in those services. During the height of the summer and the middle of the winter, your heat pump is absolutely essential to your family's comfort and well being. If your heat pump fails to operate, you are deprived of the ability to use and enjoy your home. At Steele Mechanical, Heating and Air Conditioning, our heat pump repair contractors are always available to provide for your needs. If your heat pump stops performing, call us immediately. Our New Jersey heating services professionals are ready to assist you. We will respond immediately to your call and will work our hardest to restore comfort to your home in the quickest time period possible. You are guaranteed to be satisfied with the results of our efforts. If you need heat pump repairs in New Jersey, please call 609-259-3210 or complete our online request form.